What is Form I-485, Application to Adjust Status? 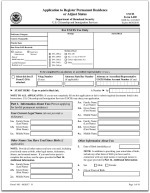 Certain foreign nationals inside the United States use Form I-485, Application to Register Permanent Residence or Adjust Status, to apply for a green card. “Adjustment of status” is a common term used to describe a change in U.S. immigration status to permanent residence (green card holder). 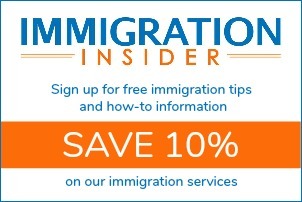 U.S. immigration law allows a temporary visitor (e.g. student, tourist, etc.) to change status to a permanent immigrant if the individual lawfully entered the United States and meets certain requirements. A request to adjust status to permanent resident is made by filing Form I-485, Application to Adjust Status. Each of the above categories has specific criteria which must be met and documented when filing the I-485 adjustment of status application packet. One of the major benefits of the adjustment of status process is that eligible individuals already in the United States can get a green card without returning to their home country to complete visa processing.